Hiring a new employee is a complex, multifaceted undertaking. On top of identifying a qualified candidate who will be the right cultural fit, it is also your responsibility to build a safe and productive workforce. One way to improve your hiring decisions is through background checks, including criminal records searches. A typical criminal records check will include a national database search and local county court records searches in places your applicant has lived over the past 7-10 years. However, in some cases, these records aren’t enough. Consider the most trusted roles in your organization as an example, or cases where regulatory or compliance obligations require more scrutiny. Is looking into federal criminal records necessary for these hires? What is included in a federal records check? The FBI refers to federal crimes as “white collar crimes.” These criminal records, document violation of federal laws, which range from fraud offenses, extortion, contempt of court, bribery, embezzlement, tax violations, and bank robberies. Federal criminal records will not be uncovered during a traditional criminal background check because they are tried at the federal court level. 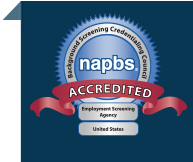 This means it is possible you might hire a federal crime offender if your screening process only investigates as far as the state level. Should you require federal records checks? As the main takeaway, federal criminal background checks definitely give you more insight into a candidate. Even if the records come back with nothing to show, you can proceed with the hiring process with more confidence that a candidate comes with a clean slate in respect to white collar crimes. However, the use case for such rigorous screening likely won’t apply to every hire, and whether it is appropriate will come down to the risk level and nature of the role you’re hiring for. If you are seeking federal criminal background screening, discuss your needs with an expert here.